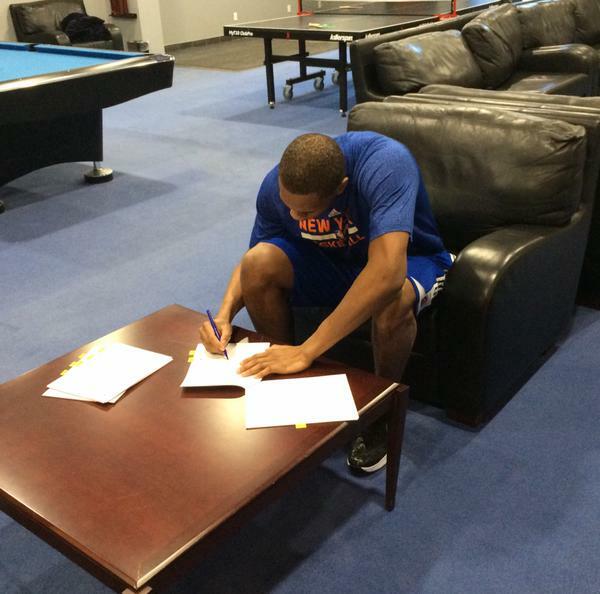 The Knicks recently announced the signing of Kevin Seraphin, the French big man formerly of the Washington Wizards. 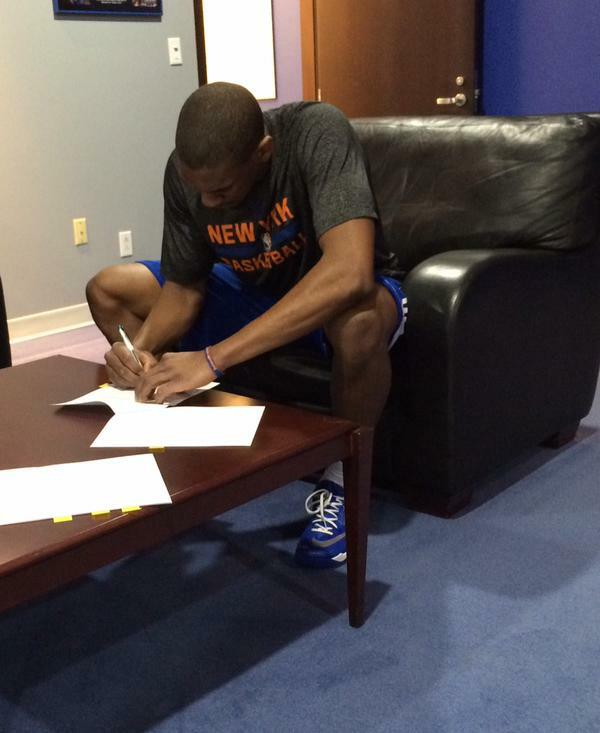 There is a picture, which you can see above, of the player, flanked by New York GM Steve Mills, signing his contract. Notably, the signing of papers took place on a table of apparently normal height, in a room that features a graphic of the top of the new World Trade building shrouded in clouds. 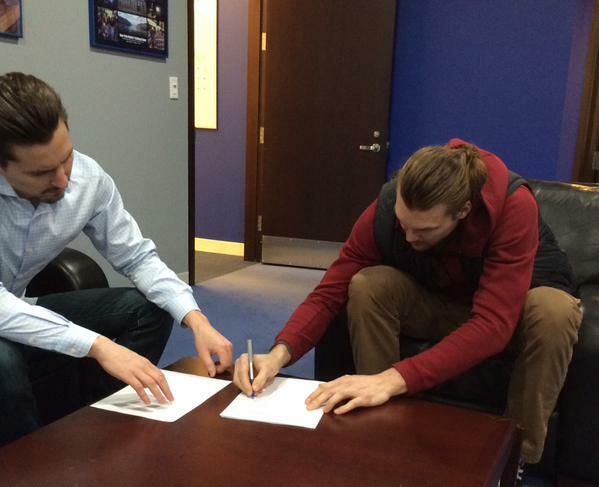 I say “notably,” because, for the past few years, the Knicks have been somewhat infamous for having their new signees put pen to paper atop a tiny table. Scenes of extraordinarily large men — shoulders hunched, legs splayed open with knees drawn up to about their ears as they try to avoid injuring their hamstrings — signing papers down about their ankles have been almost all that Knicks fans have had to look forward to. That all appears to be over now. The WTC room is a particularly nice touch. What’s better than having your players sit at a regular table? Putting the table in the sky. So, rest in peace, tiny table and various other nontraditional signing surfaces. Premier League Preview: It's the Most Powerful League in the World, But Will It Ever Be the Best?